Icing: We Talk to The Creator of The Supernatural Lo-Fi Comedy Horror Series GRAVES + EXCLUSIVE New Episode!! 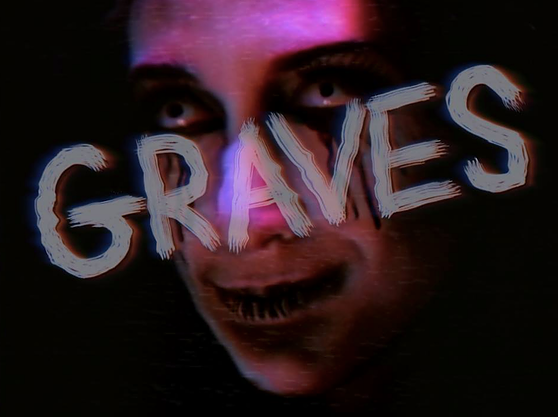 We recently told you about the lo-fi comedy horror web series GRAVES. The series, created and directed by Open Casket Skeleton Brooklyn filmmaker TERENCE KREY and co-directed with Dan Fox (Oh, Inverted World), takes it’s inspiration from comedy horror genre series like Buffy the Vampire Slayer plus Evil Dead and the works of John Carpenter. We talked to the creator about how he’s personalized the series for modern times, capturing the horror and laughter elements we pine for and doing so within indie production budget constraints. In addition, we have the EXCLUSIVE NEW Season Two episode in which ! !SPOILER ALERT!! Astaroth reveals himself to Rich while The Morrigan reminds Jane of her past. Eeek! WATCH & READ!!! CAKE: What is the origin of the show’s creation? 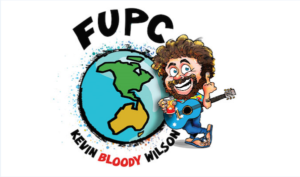 TERENCE KREY: It was a combination of autobiographical elements, approaching thirty and living in the town I grew up in; and also a heavy desire to go “all in” on a series that’s in, what I think is, my style: something generational and mumblecore-y, but also has spooky things and demons. CAKE: The show has a very specific aesthetical reference to 80s/early 90s horror films & TV even though the story takes place in presumably modern times. Was that a designing choice or by practicality of not having resources for a proper period piece? KREY: It was never my intention to place it in a different time period. I wanted some slight anachronisms, the old cell phones, lack of social media, etc. The choice of the lo-fi VHS look was both practical: digging into the low-budget and DIY nature of the production; and also thematic: our characters are burdened by the past, and therefore the show looks like something from the past. I like to tell people that it’s “my Buffy the Vampire Slayer.” Literally. I wanted it to look like my tapes of Buffy that i taped off of a VCR back in 1998. CAKE: The show has very nice production value with what a presumably small budget. How did you manage practical effects with the resources you had? KREY: I mean, low/no budget indie film production is never easy. You have to make really hard calls on where the money gets spent. The reality of it is a lot of people worked for free or little money. And that’s a hard pill to swallow when you are asking for people’s time and talent. People who you love to work with. But we knew starting out that not having an extremely talented makeup artist would be shooting us in the foot. We were, and still are, very lucky to have Beatrice Sniper as a makeup artist. She’s been there since day one, designing the demon characters, and has been integral to the show’s execution. So yeah, its a matter of figuring out what you absolutely need for the show to be “the show,” and then figuring out how to get that with whatever resources you have. CAKE: What are some influences on the show that audiences may not be aware of? KREY: Ha ha. This is a can of worms right here. Aside from the obvious aesthetic ones (Buffy, Evil Dead, John Carpenter), I pulled a lot from music: indie, lo-fi artists like Waxahatchee, Laura Stevenson, & Julien Baker; to also comic book creators like Jason & Julia Gfrorer. Most importantly, one cannot make anything about lost, lonely people getting older in their small hometown without acknowledging The Boss. Buffy may be GRAVES’ number one influence, but I think Bruce Springsteen’s album “The River” is a close second. CAKE: How long does it take to finish a season? KREY: Pre-production takes about 3 solid months, at least. Both Season 1 and Season 2 took about six days of shooting each, give or take a few days of pickups here and there. Post usually takes somewhere between 3-4 months which includes my work as an editor and scoring, which is handled by Hugo Lopez, who plays Astaroth. As far as writing, that’s a whole different story. I usually write fairly quickly, but that comes after about 2-3 months of being depressed and questioning all my life choices. CAKE: Who are your directing influences? KREY: Raimi. Joss Whedon. Tim Burton, obviously. Edgar Wright. Peter Berg. Honestly, anyone that can get a movie made and in a theater is fascinating to me. I’ve really connected with all the good, moody, horror that we’ve been seeing these last few years. “It Follows,” “The Witch,” “Get Out.” All that stuff’s great. CAKE: Will there be future seasons & if so, how will the story evolve? KREY: There will definitely be a season 3, pending any life disasters. But it will be the last season. GRAVES is a labor of love, and I don’t want to overstay my welcome in the story. So there will be a 3, and it will complete the story. Jane and the gang will confront their demons, and hopefully find some peace. Peace of mind, at least. CAKE: Besides GRAVES, what are you watching right now? KREY: Television is just unreal right now, isn’t it? As of today, I’m in love with “Dear White People,” “Handmaid’s Tale,” “The Leftovers,” and “American Gods.” In fact I think the next film I want to make with be combination of all of those things. CAKE: What is your favorite B horror film? KREY: Ooh, good one. I think it would have to be Carnival of Souls. Its moodier and gothier (yeah that’s a word) than your standard horror movie of the time, and its from 1962 I think? So it was a real precursor to everything from Night of The Living Dead and David Lynch’s films. Its got a female lead, spooky characters, and shot in 4×3, so, c’mon. CAKE: After completing GRAVES, what would be your dream project? KREY: Haha, my dream project is literally anything. I just like to make things, so any opportunity to do so is, you know, a dream. Sorry that’s the lamest answer. My actual dream project would be a film adaptation of “The Hazards of Love,” which is a folk-rock opera-esque album by The Decemberists. Its got a tragic love story, shape-shifting creatures, murdered ghost children, and an evil Forest Queen. So, again. C’mon. Mentions: Feature image from Amanda Scurti. 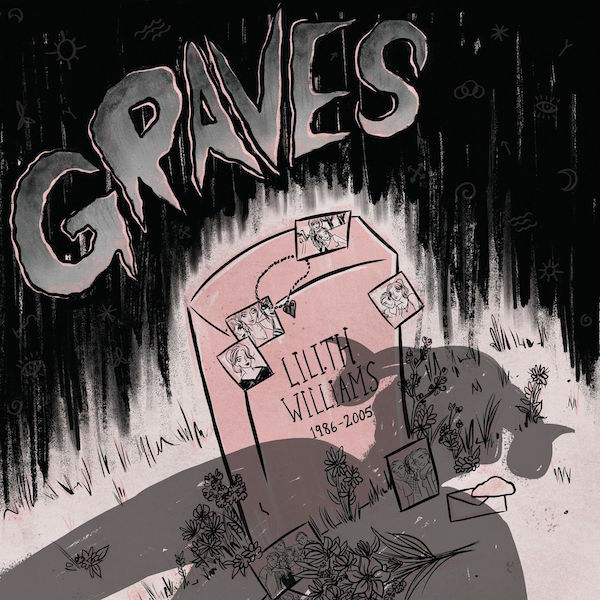 Learn more about GRAVES series HERE! Season 1 & 2 are available on YouTube and Vimeo.